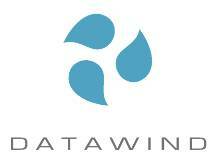 As Govt Of India encourages 'Make in India' low-cost handset and tablet maker DataWind intends to spend INR 100 crore on a third manufacturing facility and is in talks with govt of eastern states including West Bengal and Bihar, according to the sources. DataWind chief executive Suneet Tuli told PTI we have earmarked INR 100 crore to set up a third manufacturing unit and are in talks with eastern states. We have already deployed funds of INR 100 crore to set up a unit in Hyderabad, Telangana. This will be operational in 60 to 90 days. Tili said we are hoping that it extends to laptops and computing devices as well in the upcoming Budget 2016. This will also help potential manufacturers meet the country's increasing requirements which would be spurred by the growing digitalisation.